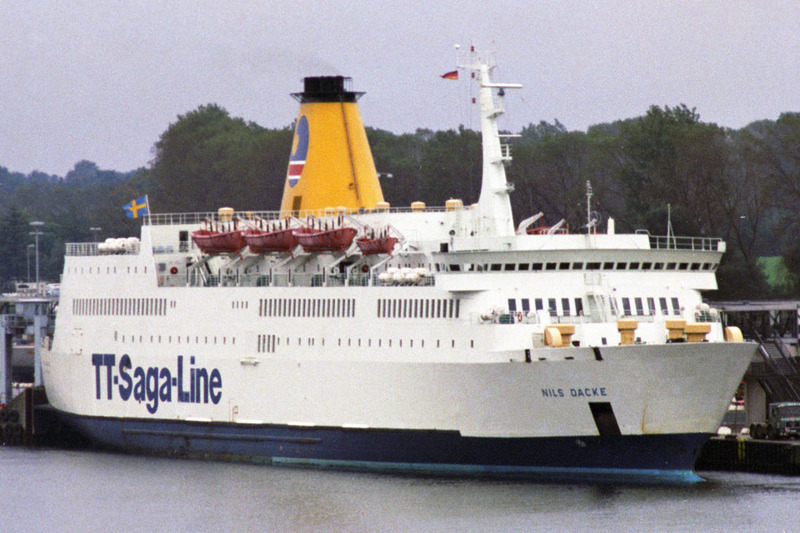 Steel twin screw motor vessel built in 1975 at Werft Nobiskrug GmbH, Rendsburg, Germany (Yard no 684) for Svelast Ab, Stockholm as a passenger-car-cargo ferry. Ordered by Lion Ferry, but contract transferred to Svelast Ab, Stockholm. June 26th 1975: Delivered to Svelast Ab, Stockholm. 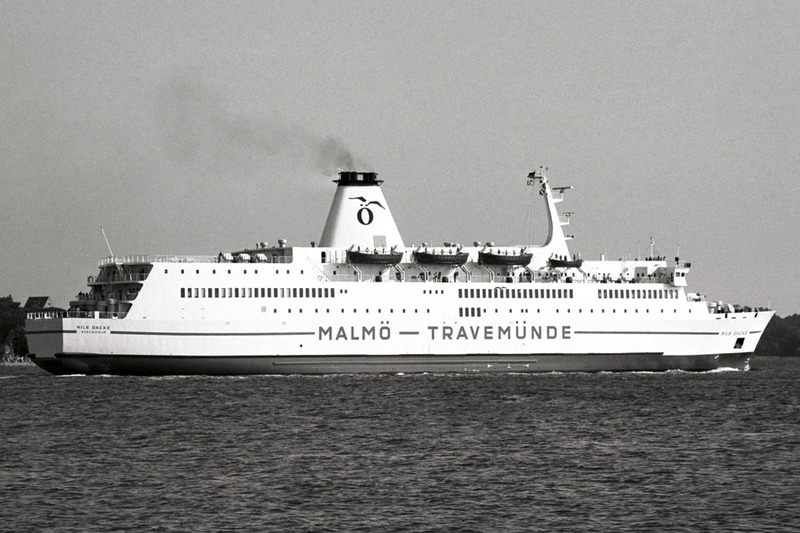 June 1975: Chartered to Rederi Ab Öresund, Malmö. Services for Öresundsbolagets between Malmö – Travemünde. Registered Manager; Lion Ferry. 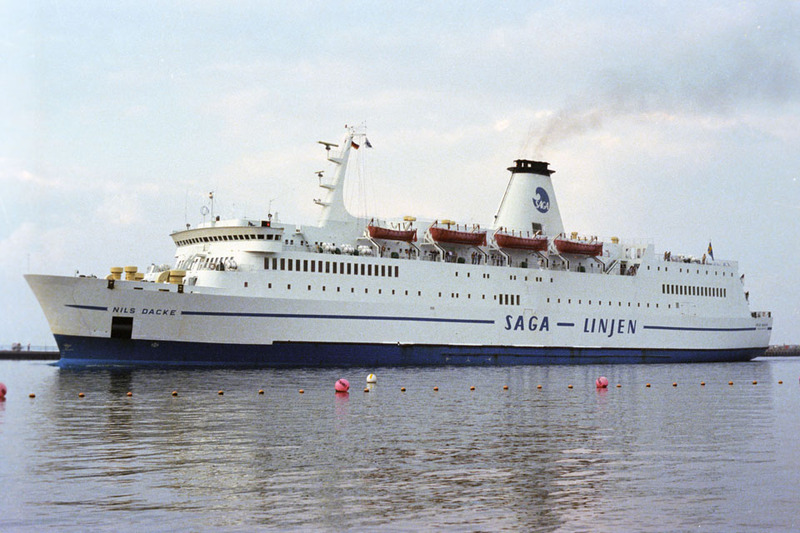 October 12th 1976: Öresundsbolaget and Trave Line amalgamate under the name of Saga Linjen. 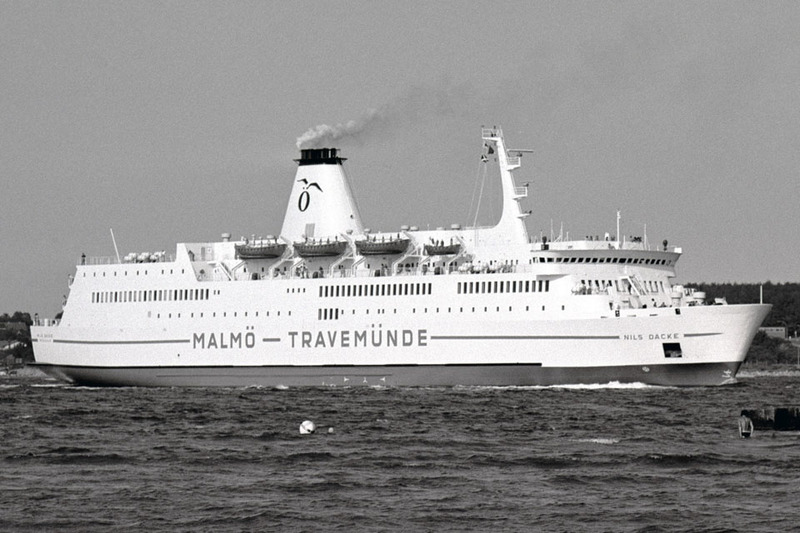 Services between Helsingborg/Malmö – Travemünde. 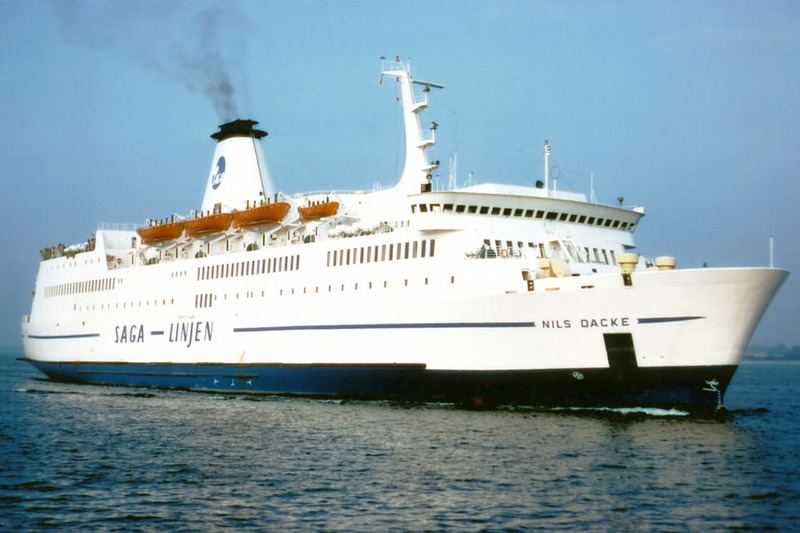 September 4th 1978 – September 14th 1978: Chartered to GT-Linien, Gedser for services between Gedser – Travemünde. 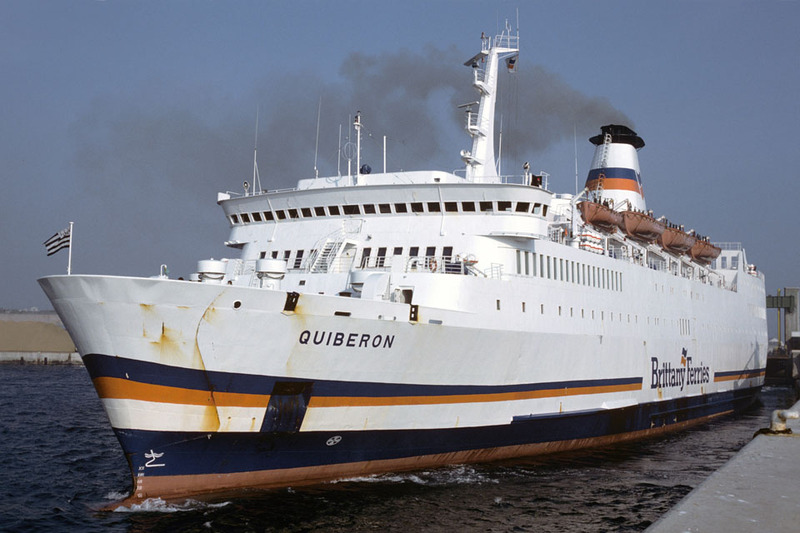 May 1st 1982: Chartered to Brittany Ferries, Roscoff, France and renamed QUIBERON. Rebuilt at Jos L Meyer Werft, Papenburg. 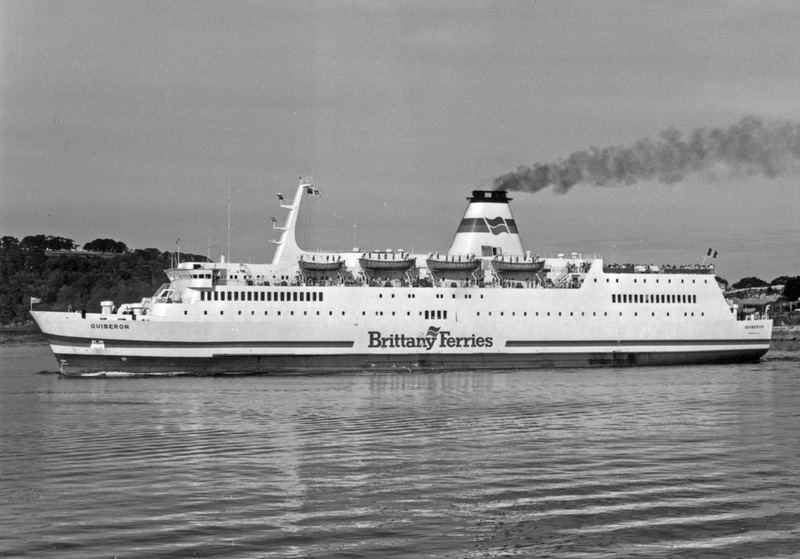 May 1982: Services Plymouth – Santander also Roscoff – Cork. 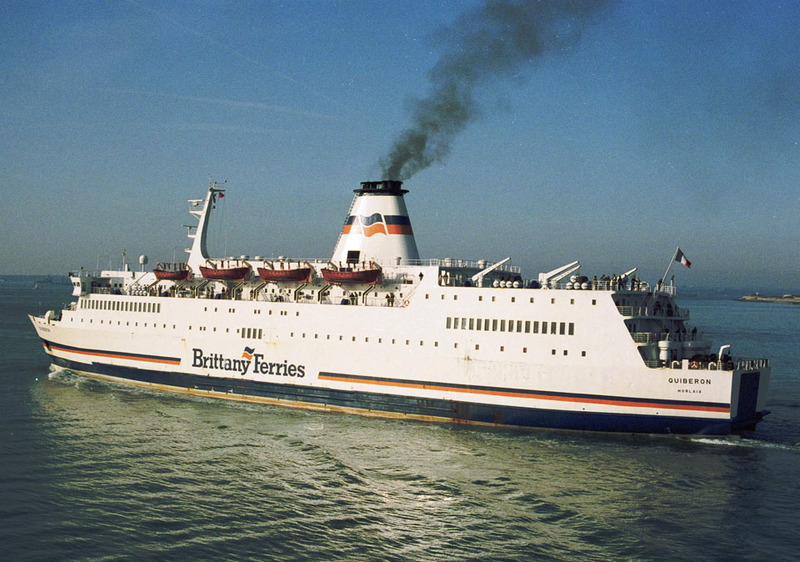 December 1984: Sold to Brittany Ferries SA, Roscoff, France. 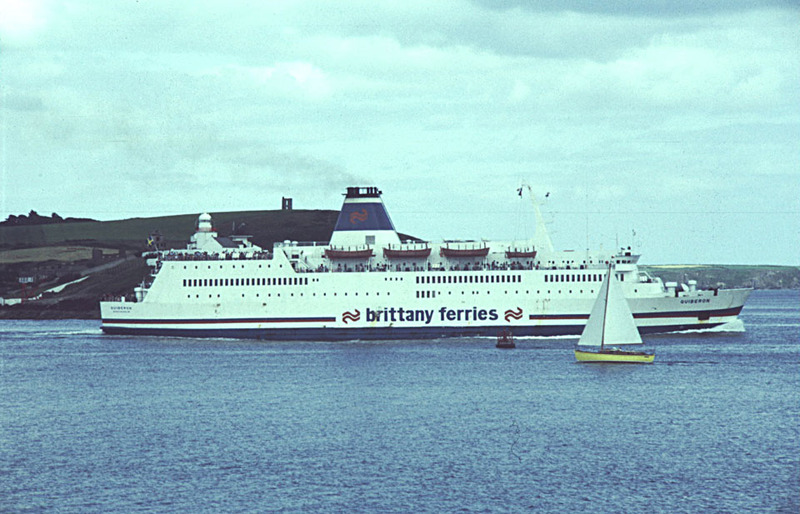 1989: Services between Roscoff – Plymouth. 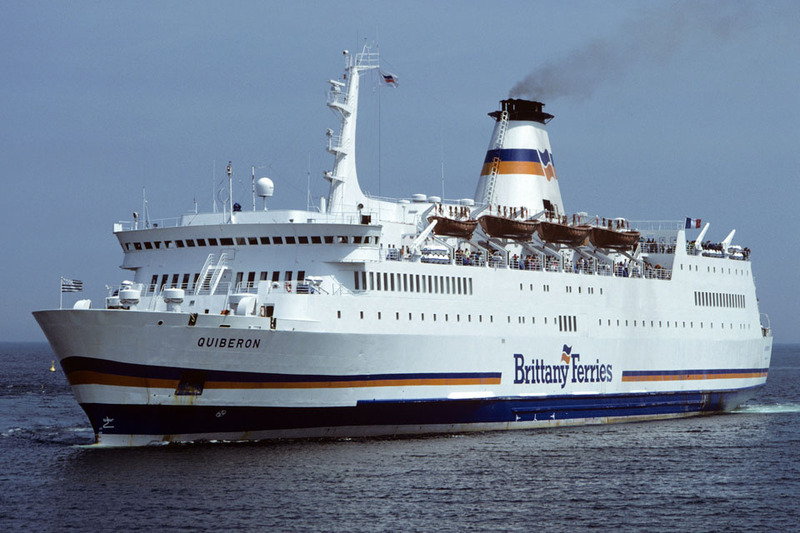 July 17th 1992: On a journey between Plymouth – Roscoff suffered an engine-room fire. She was carrying 1,124 passengers, 94 crew and 243 cars. One crew member was killed. 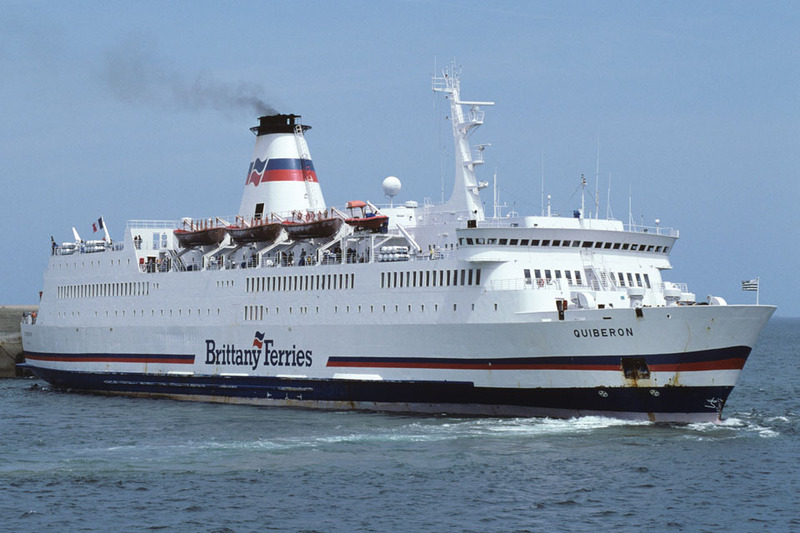 Towed to Roscoff and later repaired in Brest. August 28th 1992: Returned to service. 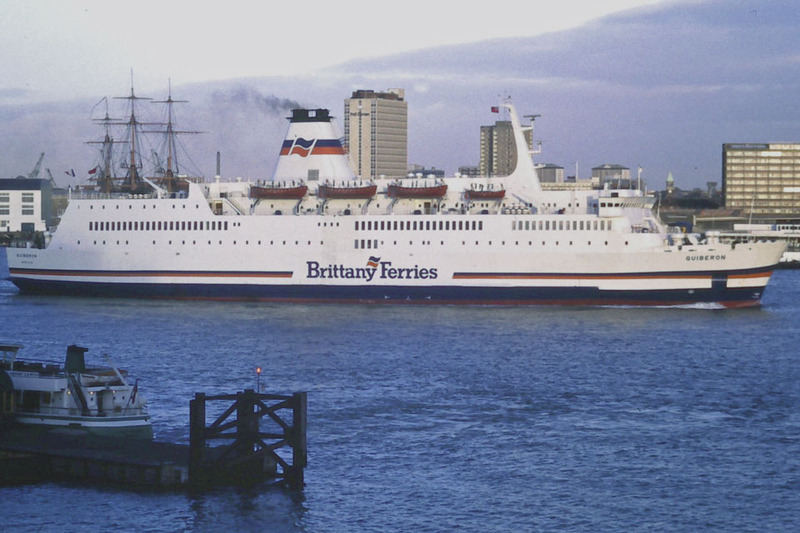 January 29th 1993 – March 14th 1993: Freight only services between Caen – Portsmouth. March 17th 1999: Ran aground in Plymouth. Towed free. She had sustained only superficial damage and was able to resume her schedule later on 18th March. 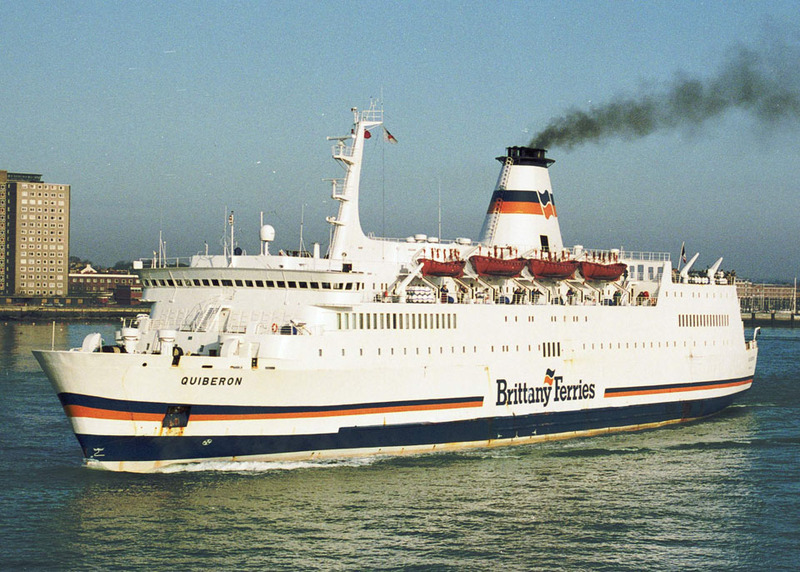 July 10th 2002: Services between Caen – Portsmouth. 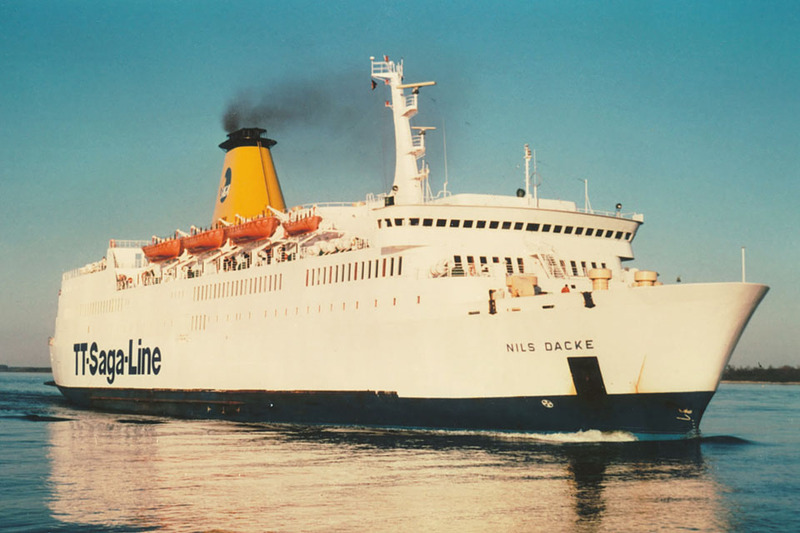 November 2002: Sold to Trovil Shipping Ltd, Morlaix, Franceike (Linee Lauro, Italy). 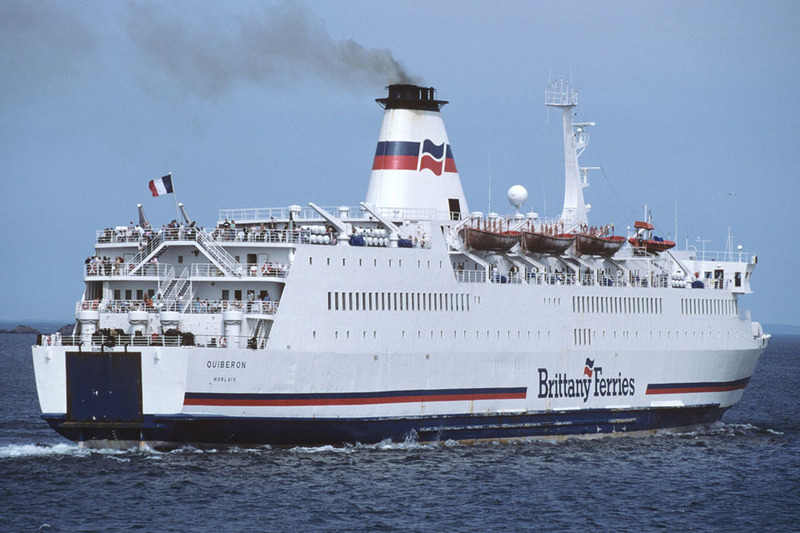 December 20th 2002: Final day in service with Brittany Ferries. December 2002: Laid up in Caen. February 20th 2003: Handed over to her new owner. 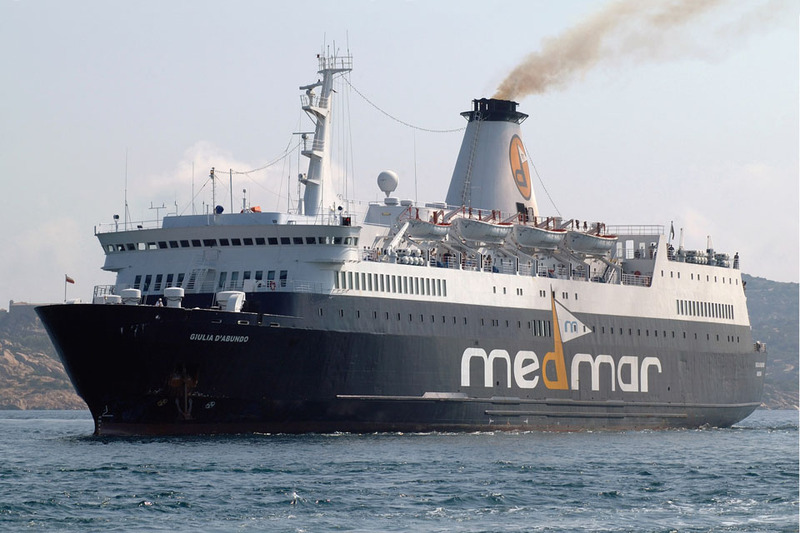 May 14th 2003: Left Brest for the Mediterranean. 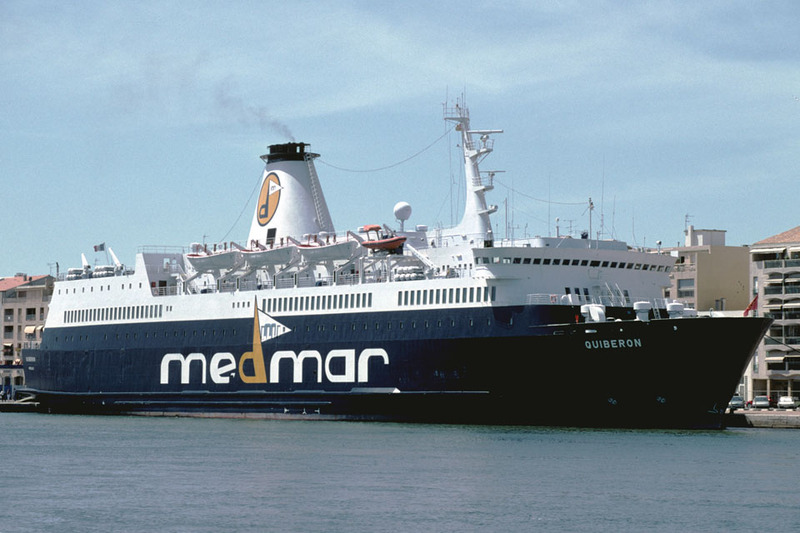 June 4th 2003: Services between Séte – Palma. 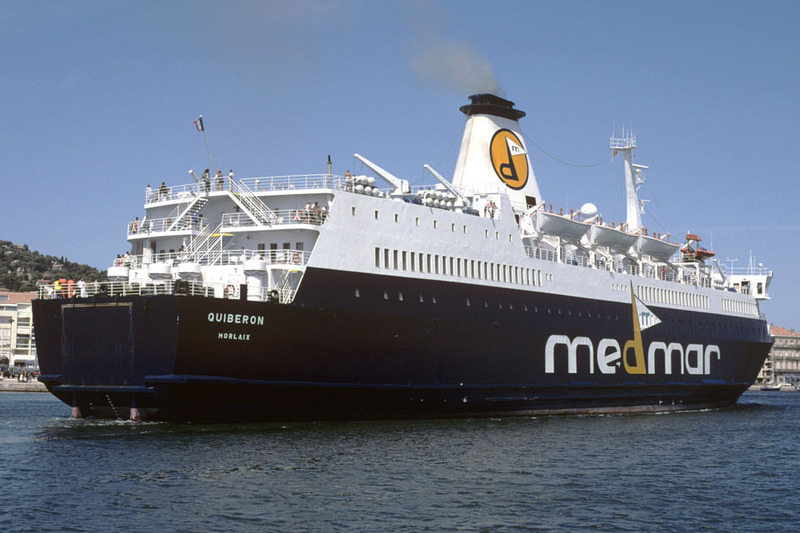 August 2003: Transferred to Alilauro, Madeira, Portugal and renamed GIULIA D’ABUNDO. 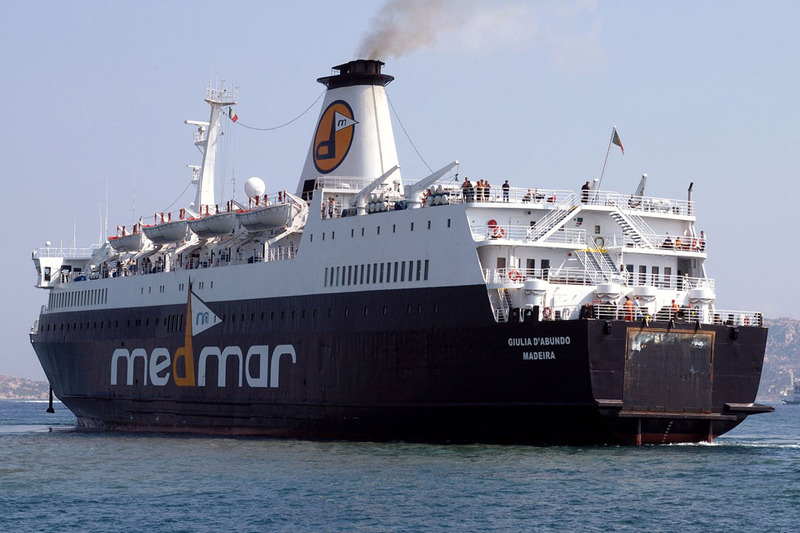 June 2004: Services between La Spezia – Porto Veccio – Palau – Naples. 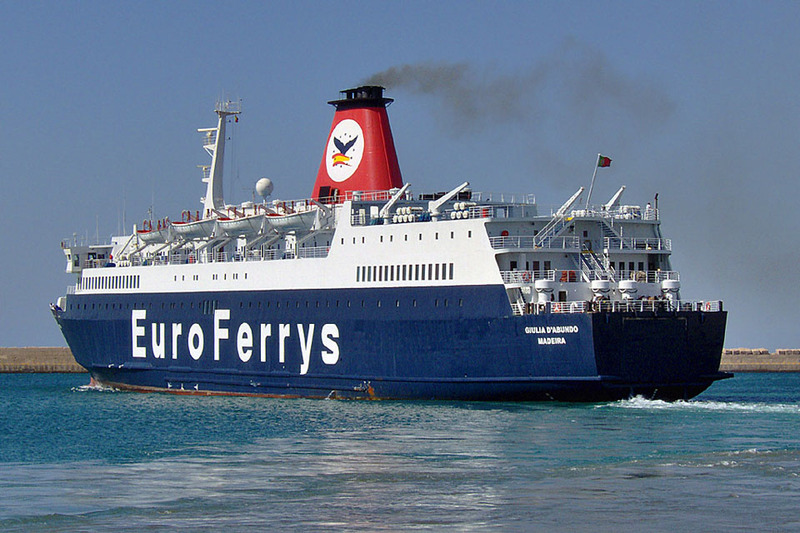 2005: Services between La Spezia – Tunis. 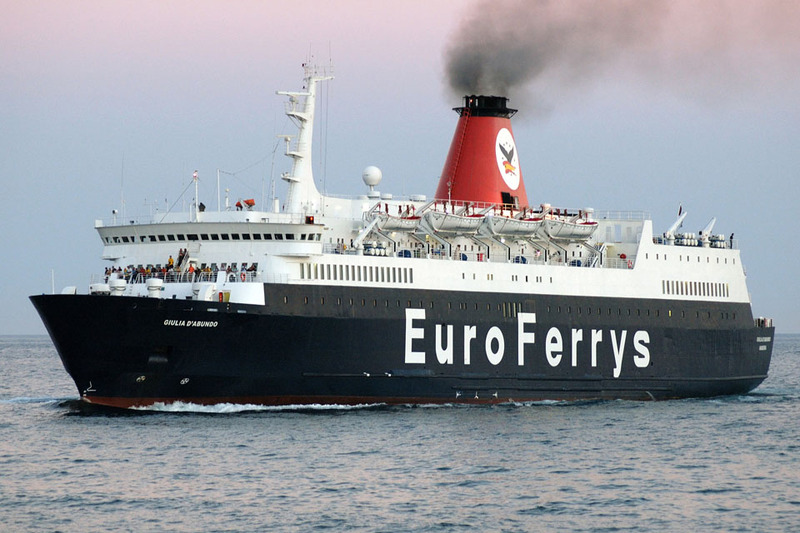 March 2006: Chartered to Euroferrys, Spain. 2006: Services between Almeria – Nador. 2007 – September 2007: Chartered to Acciona Trasmediterranea, Spain. October 2007: Laid up in Naples. January 2010: Sold for scrapping. 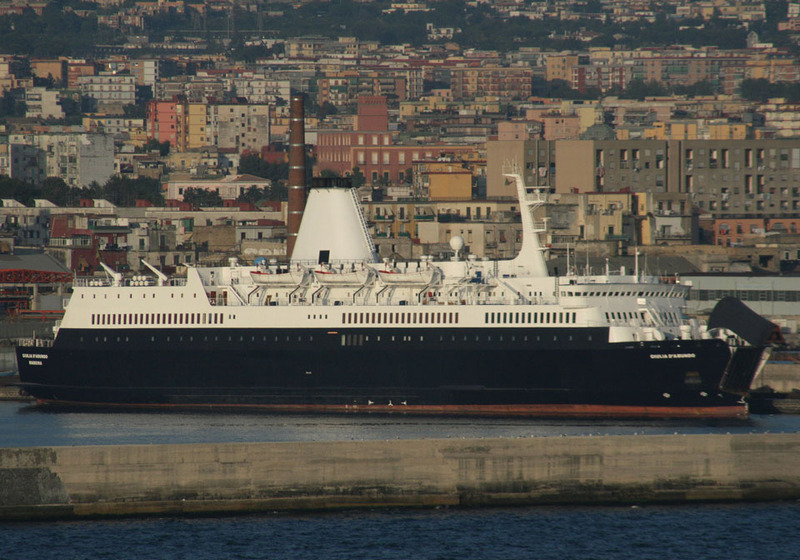 March 29th 2010: Left Naples for Alang. April 24th 2010: Arrived at Alang, India for breaking. All information is believed to be correct and no responsibility is accepted for any errors or omissions. All items included in this article are subject to © copyright. We would like to take this opportunity of thanking: Mike Barker, Daniel Ferro, Tony Garner, Frank Heine, Ingvar, Simonwp and Andreas Wörteler for their assistance in producing this feature.